Over the years, upholstered furniture can really take a beating, especially in homes with children or pets. You would be amazed at the amount of dirt and grime a sofa or armchair can pick up in just a few months’ time. Left unchecked, dirty furniture can cause serious health problems and reduce your indoor air quality. Luckily, Chem-Dry of Omaha offers expert upholstery cleaning services to residents and businesses in Omaha and the surrounding areas. Dirt and stains may be inevitable, but that doesn’t mean you have to live with them permanently. An upholstery cleaning from Chem-Dry of Omaha will leave your furniture smelling great and looking brand new. At Chem-Dry of Omaha, we use exclusive Chem-Dry products and methods to lift even the toughest stains out of your upholstery. The secret to our deep cleaning method is our carbonated cleaning solution that uses the cleaning power of millions of effervescent bubbles to break up dirt and grime and bring it to the surface where we can whisk it away with a powerful vacuum. This solution is completely non-toxic, making it perfectly safe for kids and pets. Our specialized methods use far less water than traditional steam cleaning from some other carpet cleaning company. That means your furniture will dry more quickly, and stay cleaner for longer. 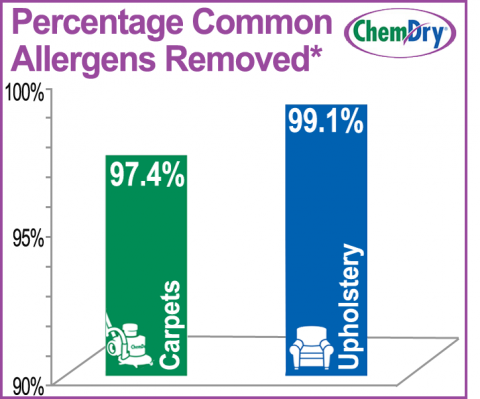 Contact Chem-Dry of Omaha today to schedule your next upholstery cleaning appointment, and see the Chem-Dry difference for yourself!